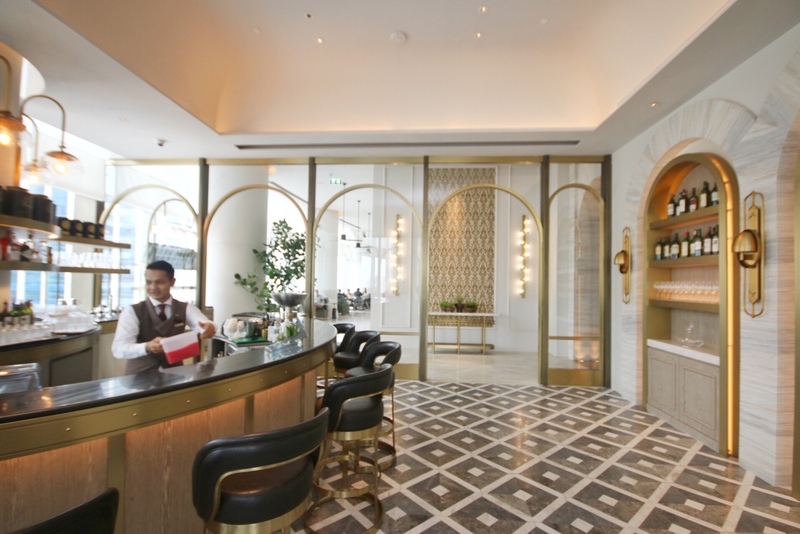 Waldorf Astoria Bangkok has finally opened its doors to welcome discerning travellers in August 2018. 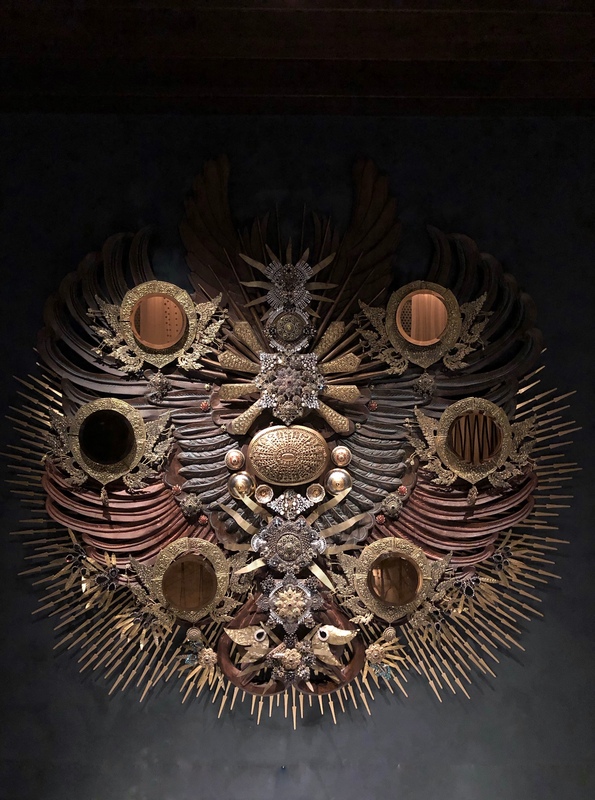 The anticipation towards the opening was unexceptionally high especially when this is the debut of a Waldorf Astoria hotel in South-east Asia. Well, I must say Waldorf Astoria Bangkok did not disappoint. 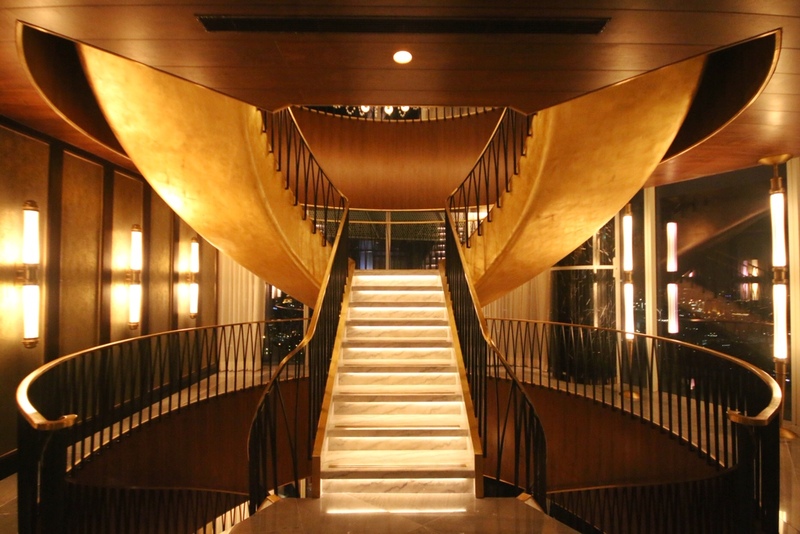 It has definitely set a new standard for luxury hotels in the Asia’s City of Angels, Bangkok. 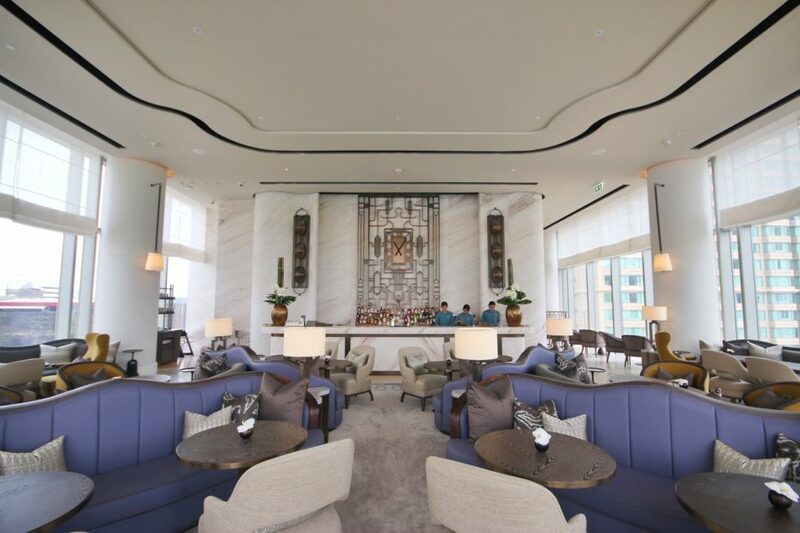 Designed by famed architect/ designer Andre Fu, Waldorf Astoria Bangkok has all of Andre’s signature design style, the hanging lamps and curved wall paneling. Fans of the renowned architect would recognise his style immediately when they stepped into the gorgeous lower lobby on the ground floor. 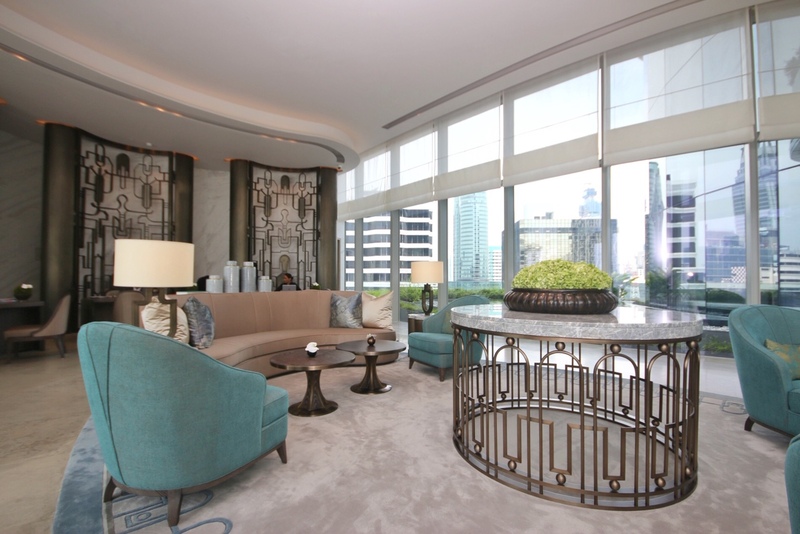 And the opening success of Waldorf Astoria could partially be credited to the throng of Andre Fu’s fans wanting to stay in this new hotel. 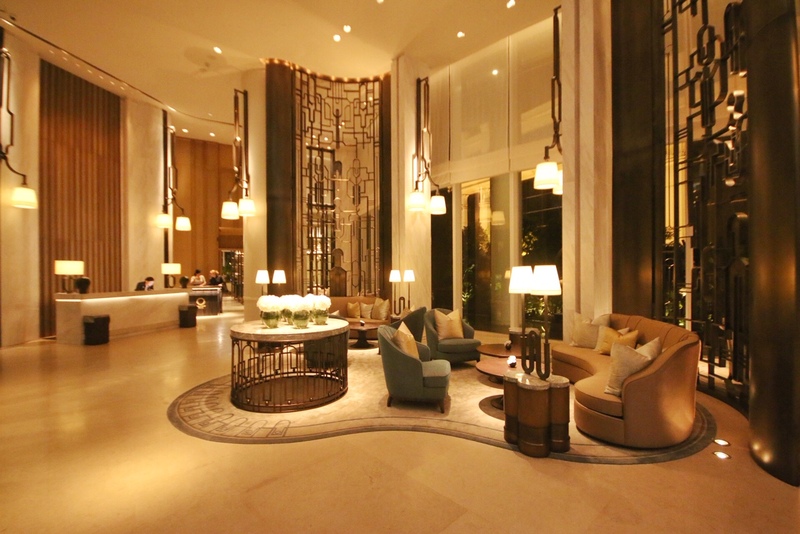 And I heard many of the guests have moved from Park Hyatt Bangkok, another of Andre Fu’s work. One couldn’t help but to be overwhelmed by the attentive service at Waldorf Astoria Bangkok. From the moment I stepped out the car, I could feel that I’m in for a treat. The staff was so well trained and they spoke really well. It was only later that I found out that many of them were former employees of the Mandarin Oriental Bangkok. 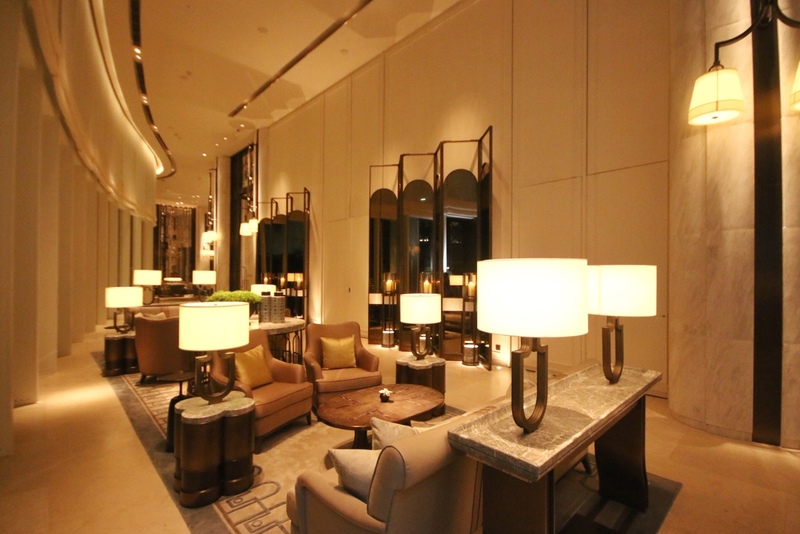 The check-in lobby is located on the Upper Lobby, which is actually level 16. Level 17, which houses the spa, pool and gym, is renamed as level 16 and is the top floor of the hotel. Anything above it are the residences. It is a very smart decision to house most of the hotel’s main facilities on the Upper Lobby and Level 16 as these two floors boast some of the best views in Bangkok. 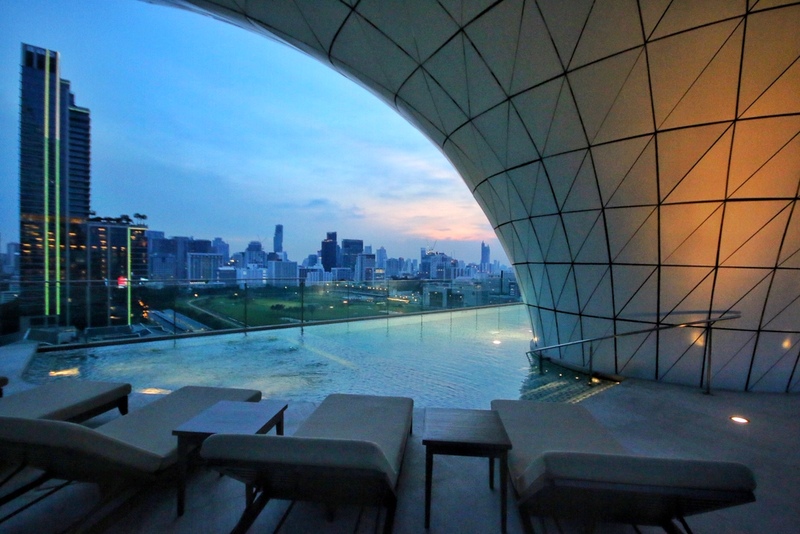 When guests arrive at the Upper Lobby, they are greeted by a stunning unblocked panoramic view of Bangkok. And if you were to arrive in the day, the Upper Lobby is basked in a beautiful daylight. And this is one of the reasons, why I would encourage hotel guests to enjoy a leisurely paced afternoon tea at The Peacock Alley or a sumptuous and luxurious breakfast at The Brasserie. Not only is the food’s great, the view is breathtaking, more of that later. 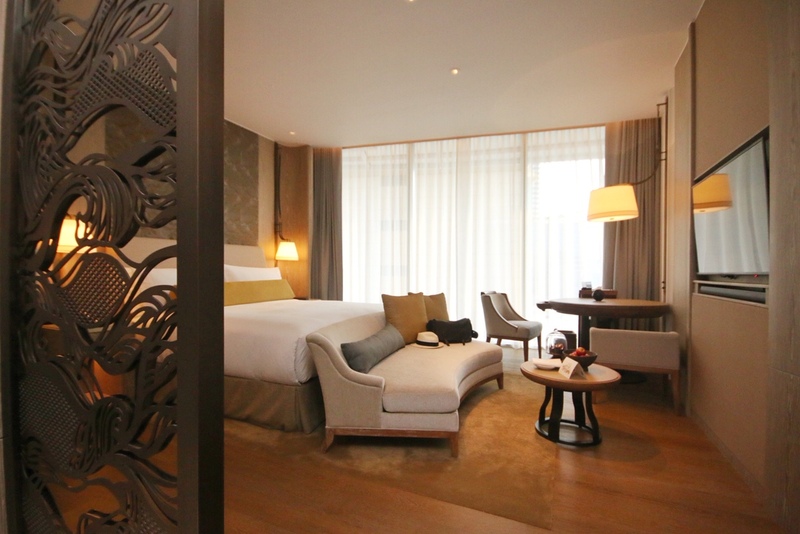 The 171 beautifully appointed guest rooms are from level 6 to level 15. If possible, I would encourage guests to request for a room that faces the Royal Bangkok Sports Club. If you are lucky, you can view the fortnightly horse races. Although the smallest King deluxe room at Waldorf Astoria starts at 50m², which is slightly bigger than the 48m² ones at Park Hyatt Bangkok, somehow, the room feels smaller. The King Deluxe Room is beautiful designed with a neutral yet classic colour palette. The night drapes automatically open up when the guest steps into the room. This is an intelligent design experience because first, the room is kept cool when the guest is out and second, the guest gets a wow experience when he/ she enters the room and the drapes open up to a beautiful view. Thumb’s up. I love the Thai lace panel that separates the mini bar from the bedroom. A lot of thoughts went into the design of the mini bar cabinet. I love the Nespresso machine and exquisite drinking and high ball glasses. It’s these little details that made up the Waldorf Astoria experience. Like all the new age hotel rooms, everything is controlled from an electronic panel at the side of the bed. While the bed bench/ sofa looks pretty and adds an elegant touch to the room, I feel that it somehow makes the room a little tight. The toilet is a hit and miss. I like a well furnished toilet and this one is equipped with the TOTO Washlet®. For those who are very particular about cleanliness, this washlet is a welcome feature. However, what I didn’t like about the toilet is that you have to walk about 3-4 metres past the walk-in closet to the basin in the bathroom to wash your hands. If I were to compare the bathroom between Park Hyatt and Waldorf Astoria, I would prefer the former. The Park Hyatt bathroom exudes a sancturied feel to it but Waldorf Astoria’s seems like another bathroom. Park Hyatt uses the New York-based Le Labo toiletries and Waldorf Astoria uses the Italian Salvatore Ferragamo. 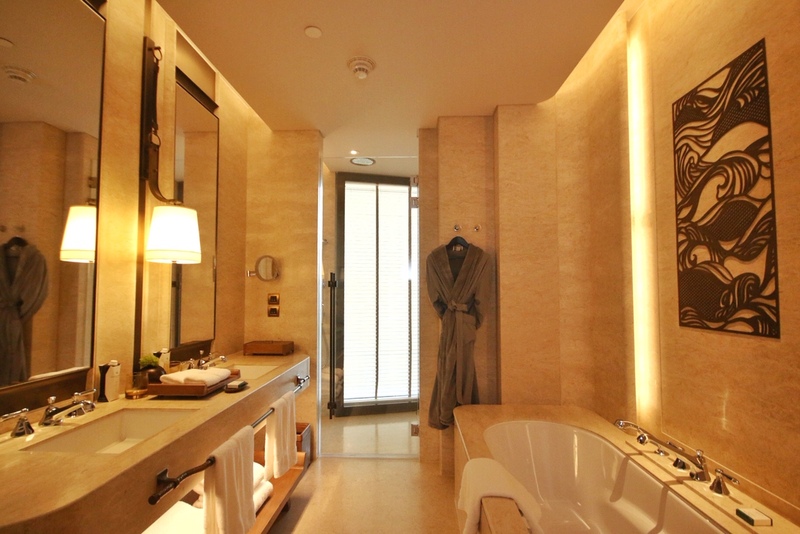 Sadly, Waldorf Astoria Bangkok didn’t provide any bath salt in the bathroom. Having said that, they use the luxurious Boca Terry bathrobes. I must say these bathrobes are gorgeous! They are super comfy and pillowy soft. You literally do not want anything to get in between you and the Boca Terry bathrobes. The breakfast at The Brasserie is probably one of the most decadent that I have had for a long time. Imagine they serve soft poached eggs with truffles! Mangoes are cut and served individually, and the croissant is the best that I’ve ever eaten. The pastry chef was very observant and when he saw me taking the croissant that was on the tray, he told me to wait as a fresh batch would be ready and he offered to serve me the freshly baked croissants. The croissant was outrageously good! They were buttery, crispy and flaky. I felt that I was in croissant heaven then. The afternoon tea at the The Peacock Alley is another must-try experience. First, the Peacock Alley is gorgeous. Second, the savouries and cakes are really good, At about THB1,000, it’s good value for money. The Loft and Champagne Bar is on level 56, above the residences. 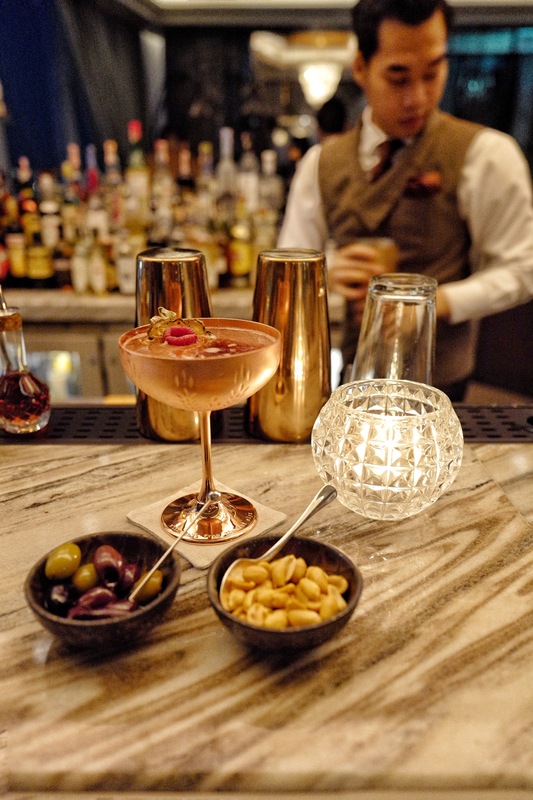 The bar, which spreads over two floors with the Champagne Bar taking the upper floor, is a magnet for the rich socialites and the who’s whos in Bangkok. The patrons are such better dressed than the other hotels’ bars and the men are usually dressed with a jacket. Hence, it can be a little stifling for the leisure hotel guests, who may not be prepared to dress up. But do make time to have a pre-dinner cocktail at the bar, the view is jaw dropping! I’ve not seen such a spectacular city view in Bangkok. The infinity pool on level 16 is not exactly great for a swim but it’s nice for one to relax. Some guests were perplexed with the weird pillar in the middle of the pool but I find it quite interesting as it adds some design element to an otherwise boring pool. The gym is basic since I’ve seen better hotel gyms. The spa is a disappointment for me. First, I wanted a male therapist which the spa doesn’t have. Hence, I had to forgo my massage treatment. Next, I asked if they provide manicure and pedicure services, which they don’t too. With two no’s, my business went to another hotel spa. But that’s not the worse. The floor-to-ceiling spa lockers were very badly designed. The lockers are split into the top locker and bottom locker. While the bottom locker is easily accessible, you will need to be a NBA basketball player to reach the hanger in the top locker (the ceiling height is more than 2.4m). Two months after its opening, they have yet to fix the problem. And frankly, whoever built it lacks common sense. The other thing that irked me was that I was told upon check in that the hotel provides six 500ml cartons of drinking water per day, 4 during the day and 2 during turndown service. But I sincerely hope that it was a miscommunication. At the price that I’m paying for the room, you want to limit the amount of drinking water for each room? Despite the minor hiccups, I still think Waldorf Astoria has its merits. If not, I wouldn’t be going back in the next few weeks. By then, I hope that spa lockers have been replaced and please don’t tell me that I’m only entitled to 6 cartons of drinking water per day during check in.